Immigration New Zealand has adopted a new policy interpretation making Work Visa holders' dependent children under five years of age eligible to obtain a Visitor Visa only instead of the previous Student Visa. Immigration New Zealand (INZ) has adopted a new policy interpretation for dependent visa holders. Effective immediately, Work Visa holders' dependent children under five years of age will be eligible to obtain a Visitor Visa only, whereas previously they were eligible for a Student Visa. A Visitor Visa does not allow the dependent child to attend school in New Zealand. As children approach the age of five, they must obtain a Student Visa allowing them to attend school in New Zealand. Previously, INZ issued Student Visas to children under four years old if they would be turning five years old at some point during their visa validity period. With this change, new Student Visa applications must be lodged as the child approaches the age of five to enable him or her to attend school in New Zealand. Foreign nationals planning to move to New Zealand under a Work Visa with dependent children should anticipate applying for a Student Visa as their child approaches five years of age to be able to attend school. Foreign nationals on Permanent Residence status will not be affected by this policy change. Fragomen will continue to monitor the situation and will provide updates as they become available. The content of this alert is provided for information purposes only. 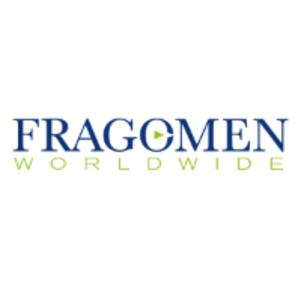 If you have any questions, please do not hesitate to contact the global immigration professional with whom you work at Fragomen in New Zealand or send an email to nzinfo@fragomen.com .